Florence is certainly one of the most famous destinations for visitors coming to Tuscany, but it’s not necessarily the best. If you would like to stay in the quiet Tuscan countryside, Florence surroundings are perfect and offer a lots of different destinations, as well as accommodations. For those looking for the good balance between city and countryside, and want to stay close to Florence historical center, accommodation in Fiesole, Bagno a Ripoli and Scandicci can be perfect. These three destinations are located within less than 10 km from the historical center and are well-connected by public transports. In addition if you stay in Bagno a Ripoli or Scandicci you are close to A1 Highway. If you then like being in the countryside a good destination is the Mugello valley. For example lodgings in Barberino di Mugello or Borgo San Lorenzo are close to A1 Highway and about 30 minutes driving from Florence, as well as near Bilancino Lake, excellent for relaxing and outdoor sports. If you want still to stay in a town in Mugello you can find an accommodation in Scarperia or Dicomano. If you love the round hills of Chianti stay in Greve in Chianti, San Casciano in Val di Pesa or in Barberino Val d’Elsa can be a good choice. All these cities are main tourist destinations renowned for wine tastings. In their surroundings you can find several wineries and farms offering wine and oil tastings. 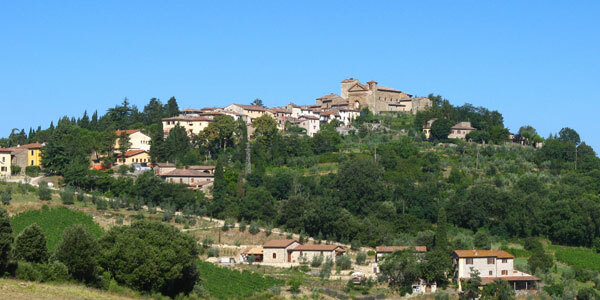 If you like wine other nice locations where to stay are Montespertoli, Castelfiorentino and Montaione. Their surroundings are designed by vineyards and olive groves and there are many farms and wineries where you can do wine tastings. For those who want to be immersed both in culture and in the countryside stay in Certaldo or Vinci can be two good opportunities. In fact both these towns are famous for being respectively the birthplace of two great Tuscans, such as Boccaccio and Leonardo da Vinci. These famous figures are celebrated with great and interesting museums. Otherwise not too far there nice destinations such as Gambassi Terme and Montelupoo Fiorentino. Stay in Gambassi Terme< if you want to relax at thermal baths, or stay in Montelupo Fiorentino if you like pottery. Of course these are just few destinations in Florence surroundings. They all offer a vast selection of accommodations for your vacation in Tuscany.